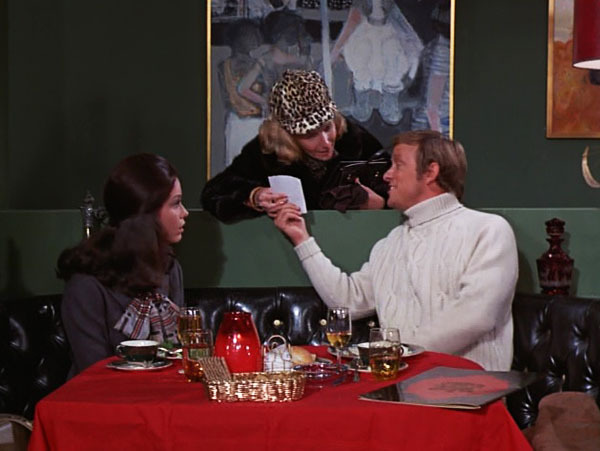 Mary finds herself smitten with WJM-TV’s returned globe-trotting reporter, John Corcoran. There’s just one tiny problem – he’s married. Though separated, Mary can’t quite shake the feeling that she’s being played. While Mary sorts through her moral conundrum – to date the dashing, separated man, or not? – we discuss the dangers of charming men, and being in one-sided, manipulative relationships. We also discuss the double standard of Lou commending John for his globe-trotting and bed-hopping, while looking down his nose at Mary for being attracted to him. From John’s total disregard for the institution of marriage, his unwillingness to just get divorced, and what that says of his subtle abuse of his wife, to the ways women are pitted against each other in society at large, White Feminism, Intersectional Feminism, and so much more, this is definitely a fully loaded episode you won’t want to miss! Episode 73 - Eat Your Darts, Patrick Swayze!